1. Diplomat-author Navtej Sarna is India’s new ambassador to the U.S. His works include The Book of Nanak and The Exile, a novel based on the life of Duleep Singh. Vikas Swarup, another Indian diplomat-author, wrote a novel that was turned into which award-winning, hit movie? 2. 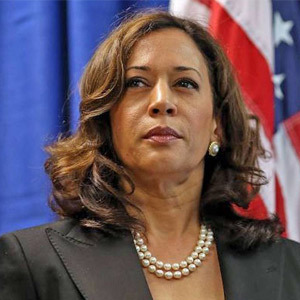 Kamala Harris makes history as the first Indian-American in the Senate. Decades ago, Dalip Singh Saund was elected to the House of Representatives three times. And now who is the other Indian-American, also a Californian, to win a seat in the House for the third consecutive term? 3. 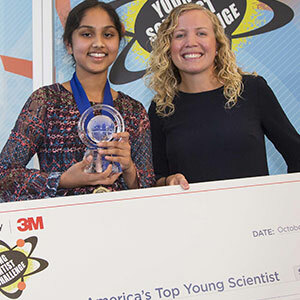 Maanasa Mendu, a 9th grader in Ohio, won the 2016 Discovery Education 3M Young Scientist Challenge for creating Harvest, a bio-inspired device that uses alternative sources to produce energy. Her mentor was Margaux Mitera, a 3M engineer. How much is the prize worth? 4. 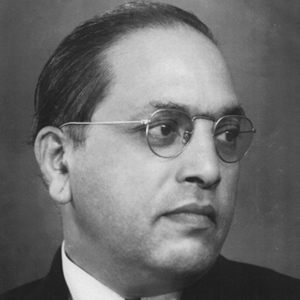 Last year marked the 60th death anniversary of Dr. B. R. Ambedkar, the chief architect of India’s Constitution. Republic Day, celebrated on January 26th, marks the day on which the Constitution went into effect, making India an independent republic. When did that happen? 5. 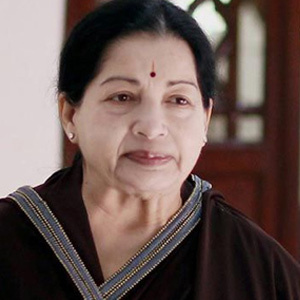 Jayaram Jayalalithaa, a cult-like figure, died in December at the age of 68. In which state did this former film star serve as the chief minister for five terms? Cho Ramaswamy, a well-known political satirist, comedian and editor who died a couple of days later, was from the same state. 6. Kamuthi, a new 648-megawatt solar plant in Tamil Nadu, can generate enough power at full capacity to support 150,000 homes at the same time. 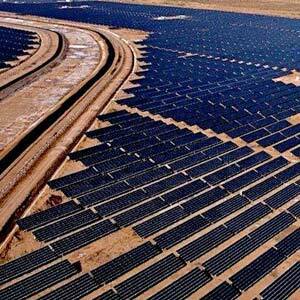 It replaced California’s Topaz Solar Farm as the world’s largest single-location solar power plant. Which nation produces the most solar power? 7. 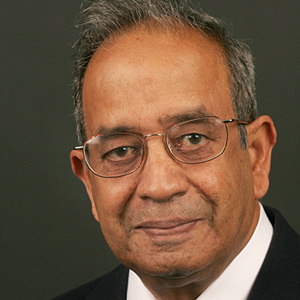 Physicist A. V. Ramayya and other scientists can be proud that their recent discovery (Element 117) has been added to the Periodic Table. It’s named after their state—only one other state, California, got that honor when Californium was discovered in the 1950s—and is called what? 8. 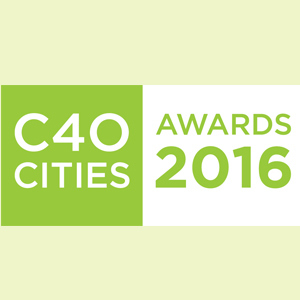 The C40 Cities Awards are presented in 10 categories every year to cities that show climate action leadership. The Solid Waste category recognizes cities for reducing, reusing, and improving the management of resources. In 2016, which Indian city won in this category? 9. 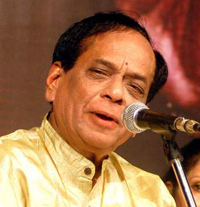 Noted Carnatic musician M. Balamuralikrishna, who died on November 22nd at the age of 86, couldn’t be included in Khabar’s 2016 obituary roundup. France honored him with the Chevalier (Knight) of the Order of Arts and Letters. What’s the highest award he received from India? 10. 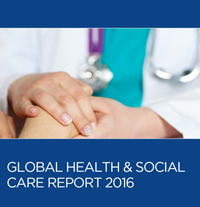 Even jaded observers may be surprised to learn that, according to the Global Health Report 2016, India is the world’s second most unequal country, with the richest 1 percent of its population controlling 58.4 percent of the wealth. Which nation was ranked the most unequal? Saroo Brierley with his birth mother. An impoverished 5-year-old boy in India boards an out-of-service train inadvertently, only to end up alone a thousand miles away. This happened in 1986 to Saroo Brierley, whose remarkable story has been depicted in the film Lion, featuring Dev Patel as the adult Saroo and Nicole Kidman as the adoptive Australian mother. The crux of the tale involves Google Earth, which Saroo used for two years before he was able to track down his hometown and reunite with his birth mother about 24 years after his disappearance. Empty (“ghost”) passenger trains are not uncommon, apparently. But what would have been unusual was to travel on one all the way to Kolkata from Khandwa in central India, where Saroo’s family lived. Unoccupied trains usually travel shorter distances. In Patna, as journalist Sanjay Pandey noted in Caravan magazine, an almost empty train ambles through a crowded area, with no conductor on board and at a yearly loss of 10 million rupees. Why? Because the land there is so congested that if this three-coach service was discontinued, squatters would occupy the tracks and no train would be able to pass. And speaking of Google Earth, India’s Ministry of Urban Development has teamed up with the company to help Indians with a big problem: locating a clean public toilet. At first the service will only be available in Delhi, where a map on your smartphone will allow you to—what else—get relief. Google’s reach extends in other ways. To avoid antagonizing India, Pakistan, and China, maps of the disputed regions are customized so that Google users in each of these nations will only see the officially sanctioned maps on their devices. Now that’s diplomacy. 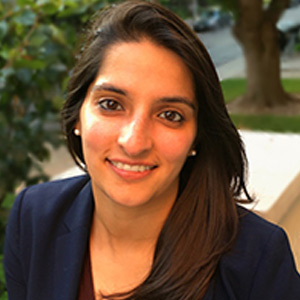 Going electronic is increasingly popular—but Avni Shah, a psychologist at the University of Toronto, says that cashless transactions are not painless. Her research shows that we give more value to the item (or service) bought when we use currency rather than credit or debit cards. Cash is tangible, making us more cautious. In one of her experiments at Duke, where Shah got her Ph.D., she sold mugs to several people. When she tried to buy them back, those who had paid with cash wanted more money than the others. “Our results indicate that while credit and debit card users may become more likely to purchase an item initially, they are less committed to the product in the long run,” the researchers write in their study (‘Paper or Plastic’). That’s worth remembering as the demonetization drama continues in India. Black money or corruption wasn’t the only target for the abrupt decision to withdraw 86 percent of India’s currency (in 500 and 1,000 rupee notes) from circulation, leading to widespread turmoil. The idea, reportedly, is to diminish the importance of all currency. Cashless transactions are seen as a good way to promote efficiency, reduce corruption, and raise productivity. Will the strategy work? While there are sound arguments, implementation is a huge challenge. India has to deal with problems like low literacy and poor connectivity, especially in rural areas, and there are security concerns. The growth of smartphones notwithstanding, only 17 percent of adults in India use them. As for POS (point of sale) terminals, the country has just 693 machines for every million; China, in comparison, has 4,000. Fewer than 10 percent of Indians have used noncash options for transactions. Cash still rules in India—and that may not be bad, as Shah would note. Adhya and Shriya Beesam. Vineet Edupuganti. 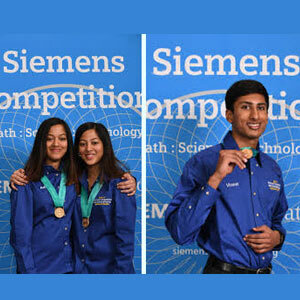 It was a stellar year for Indian-Americans at the prestigious Siemens Competition focusing on math, science, and technology. Vineet Edupuganti won the grand prize in the individual category, while identical twin sisters Adhya and Shriya Beesam shared the grand prize in the team category. Each award is worth $100,000 in scholarships, making it highly coveted among STEM-oriented high schoolers. Vineet, a senior in Portland, Oregon, created a biodegradable battery for lilliputs. Well, those lilliputs are actually miniature medical devices that can be swallowed like pills, though the immediate objective here is not to cure an illness. Rather, by reaching hard-to-access organs in the body, these devices help with the diagnosis of diseases. Adhya and Shriya, who are juniors in Plano, Texas, also focused on diagnosis in their prize-winning project. Seeking a better way to detect schizophre- nia in the early stages—their uncle’s struggles with the disease inspired them—the sisters developed a computer program that combines quantitative tests (MRIs and CT scans) with qualitative tests (such as psychiatric education). The results are analyzed using what they call a Linked Neuro-Fuzzy Inference System, letting medical professionals recommend more customized treatment options. Nikhil and Anika Cheerla ($50,000), too, were among the six finalists in the team category, whereas the individual category finalists included Manan Shah ($50,000), Prateek Kalakuntla ($30,000), and Pranav Sivakumar ($20,000). The 2016 contest involved 2146 students and over 1600 projects. Demographic shifts are changing America. It’s a fact that most likely played a big role in the populist revolt we saw in the 2016 election. In 1990, Indian-Americans were not even in the top 10 of foreign-born groups here. But in 2014, India sent the most immigrants to this country—over 147,000—and by then it had become the second largest source of total immigrants (after Mexico). How did it happen? 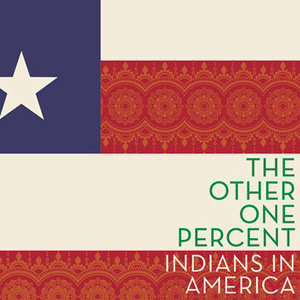 That’s part of the story told by academics Sanjoy Chakravorty, Devesh Kapur, and Nirvikar Singh in The Other One Percent: Indians in America (Oxford University Press). The well-covered pre-1965 phase, while long in duration, didn’t involve huge numbers. A century ago, as they point out, the Indian population increased by less than 300 every decade—but by the end of the first decade in this century, it grew by 300 every day.